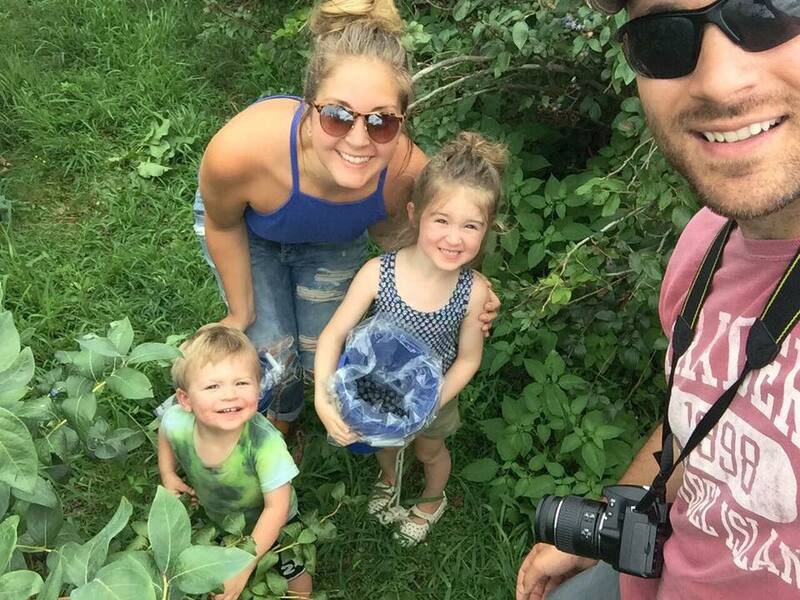 This past weekend, we were fighting off the pre-nap time crazies and desperately needed an excuse to get out of the house. 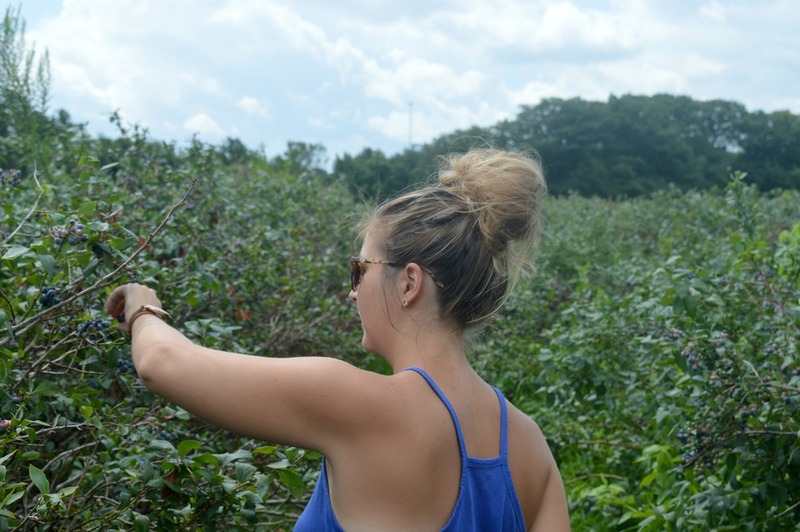 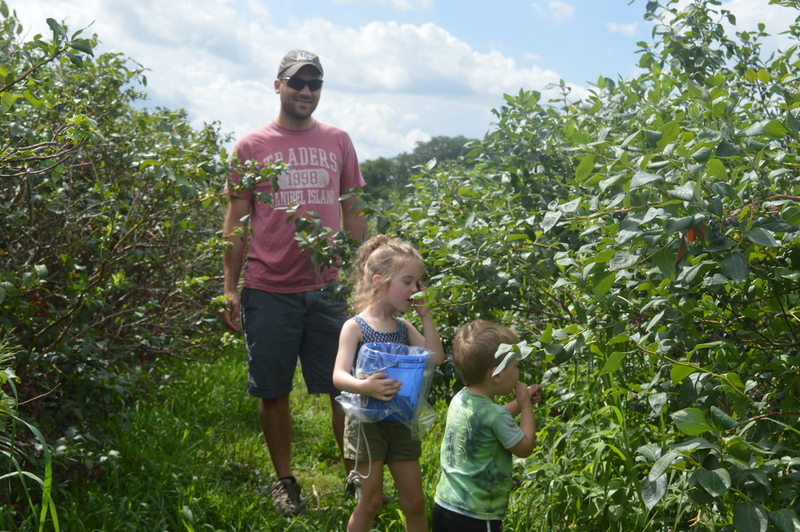 Luke came up with the brilliant idea to pick berries and since the weather finally dropped below 90 degrees for the first time in what seems like forever, we decided to head to Awald Farms! 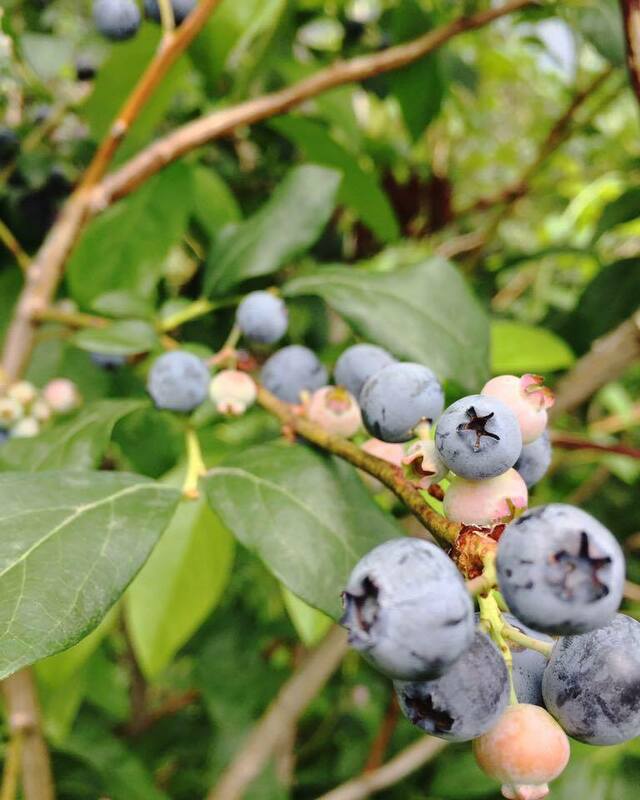 When we got to the berry fields, the only kinds in season to pick were blueberries, which was no problem at all – especially for Huck! 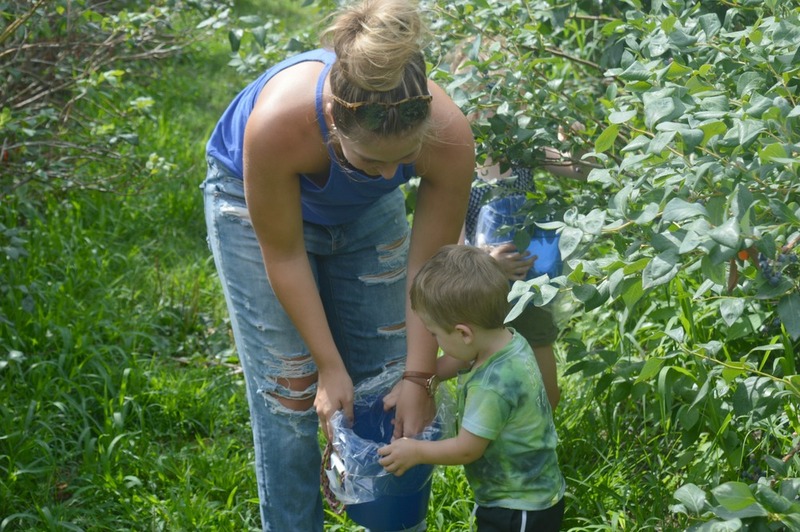 We happily grabbed some buckets and got to work finding the best and biggest berries we could. 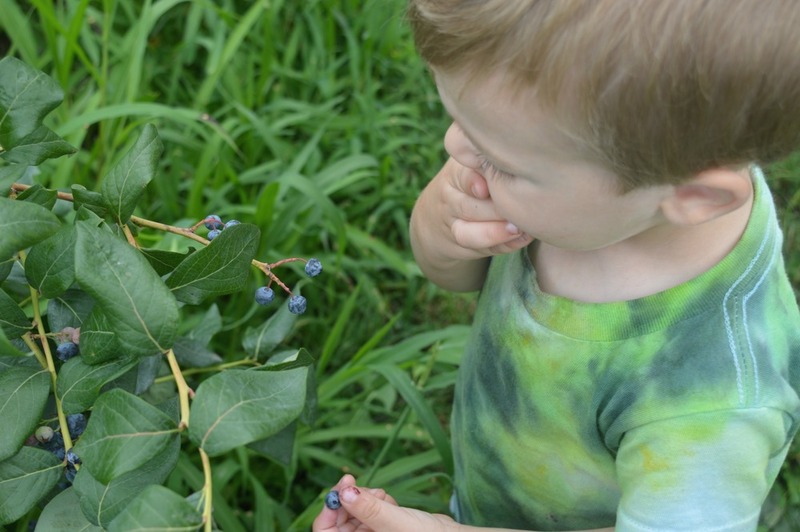 We managed to pick (and eat… Lookin’ at you, Henry) two buckets full of blueberries before the skies opened up for one of the only rainfalls of the summer! 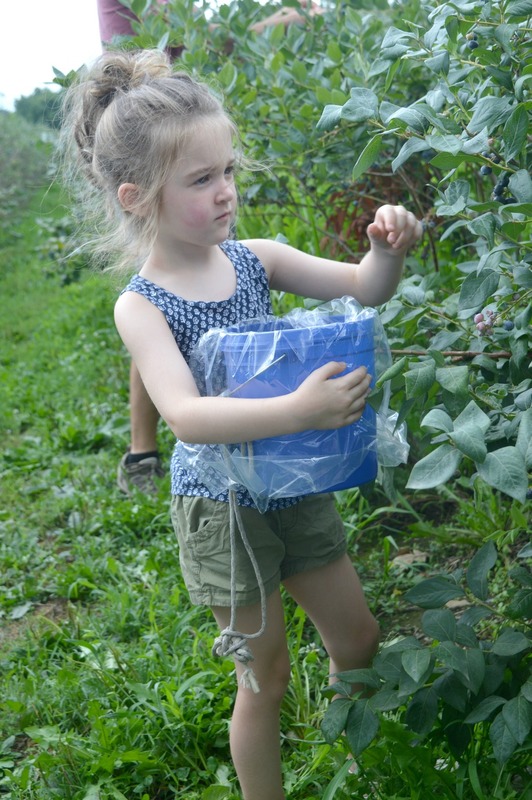 We made it home with time to spare to jump in a few puddles before lunch and nap time, and enjoyed the fruits of our labor later that night with a homemade berry pie – which was eaten in its entirety in less than 24 hours.